We’re honored to participate in America Recycles Day through our photo contest to bring awareness to the ways that technology – part of the fabric of American life in the 21st century – can be recycled and reused to prevent unnecessary waste. In honor of America Recycles Day, recognized annually on Nov. 15, FundingFactory® is conducting a Facebook photo contest aimed at building awareness about the importance of recycling. FundingFactory is the nation’s largest fundraising-by-recycling program for schools and nonprofits, helping participants recycle 4.2 million electronic items annually. A national initiative of nonprofit Keep America Beautiful, Inc., America Recycles Day celebrates the successes of recycling while providing an educational platform that promotes the importance of reducing, reusing and recycling on a daily basis. To enter the FundingFactory photo contest, participants must submit a photo that creatively answers this question: How does your recycling program make a positive impact on your local and global community? Entries should depict the people, programs, processes or events that have a positive effect on an organization and the environment, such as a school’s America Recycles Day activities, a display of recyclables collected, or community celebrations. The contest begins Nov. 15, and opens for public voting on Nov. 19. The top three vote-getters will receive cash prizes up to $300. 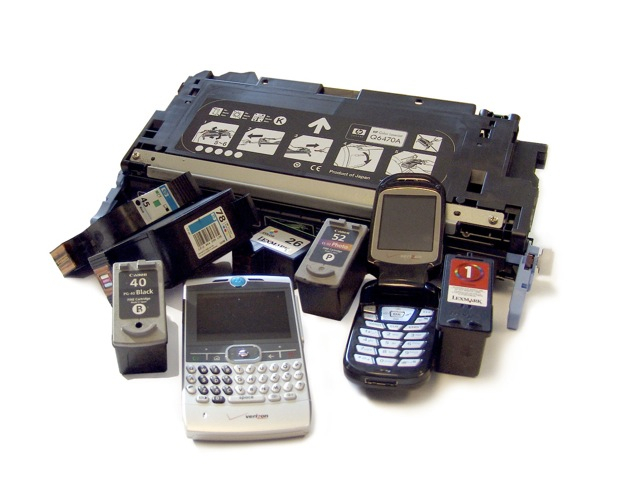 The FundingFactory program is free and enables schools and nonprofit organizations to exchange electronic waste such as empty printer cartridges and cell phones for cash or points redeemable for new technology. The organization recently expanded its list of recyclable items eligible for funding to include digital cameras, MP3 players, and GPS systems. During the recent FundingFactory back-to-school promotion, participating organizations sent in nearly half a million recyclable items in two months, helping keep toxic materials out of the air and water and reducing the need to manufacture new items, while earning funding for critical improvements. According the Environmental Protection Agency, the average amount of waste produced by each person per day nearly doubled between 1960 and 2009. The need to reduce, reuse and recycle is perhaps more salient than ever in the United States, with landfills sprawling past capacity and environmental issues such as the Pacific Trash Vortex spiraling out of control. Photo entries can be posted to the FundingFactory Facebook page from Nov. 15 to 18, and is open to FundingFactory participants only. Public voting, open from Nov. 19 to Nov. 23, will determine the top three winners. In addition, FundingFactory staff will vote to award three honorable mention awards for the Most Creative, Most Green, and Funniest photo entries. To enter, go to facebook.com/fundingfactory, “like” the page, and submit an entry on the “Photo Contest” tab. For full contest details, visit FundingFactory on Facebook or the FundingFactory Blog. To enroll in FundingFactory, schools and other non-profit organizations can register for free at http://www.fundingfactory.com/register. For-profit businesses can also participate at no cost by shipping recyclable items on a school or organization’s behalf. Since its inception in 1998, FundingFactory has provided more than $26 million in funding to schools and nonprofit organizations across the United States, and saved 21 million pounds of waste from landfills. FundingFactory is a free fundraising-by-recycling program for schools, nonprofits, and charities. Participating organizations can earn points redeemable for cash or new technology by recycling empty printer cartridges, cell phones and other small electronics from their communities and supporters. FundingFactory is a program of Environmental Reclamation Services, LLC, a Clover Holdings company. Headquartered in Erie, Pa., ERS is an ISO Certified, Zero Landfill Initiative company with more than 97 percent of its incoming material reused or recycled.